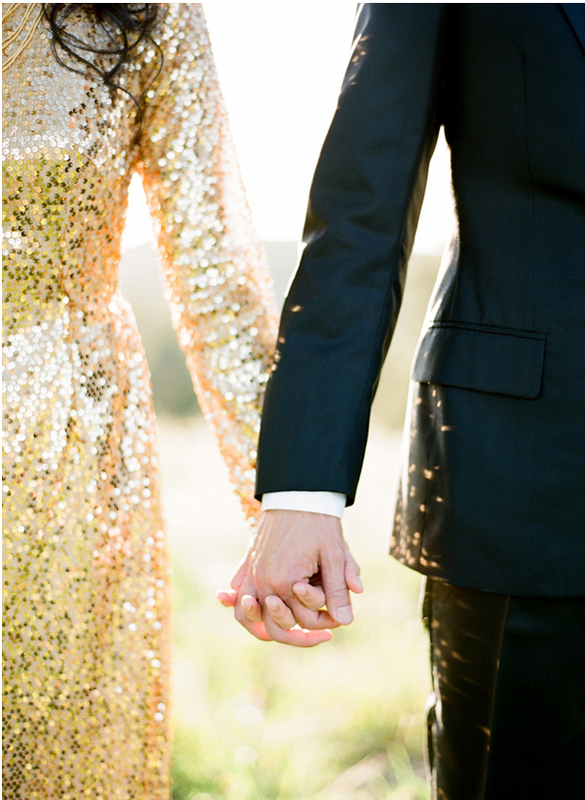 Gold wedding dress ideas. As you watch the Academy Awards, everyone at one time or another has imagined themselves walking down the red carpet. You would be wearing a gorgeous gown and all eyes would be on you as you walked by. If you want the same feeling on your wedding day, why not depart from tradition and wear a gold gown instead of white? We have some wonderful options that we hope will inspire you to consider alternatives to the norm. This first dress by Kelly Faetanini is gorgeous. It has a beautiful pattern throughout the dress. This gold wedding dress also comes with a de-attachable train. So you can wear this dress two different way. This strapless beauty gives you something trendy without taking you too far away from traditional. Are you looking for a bold dress? Well then this gold wedding dress is it. This bright metallic gold dress is sure to wow your guests and has the perfect shape for a bride wanting a fitted gown. Look at this gold dress with the bow! It is just fantastic how it gathers at the waist and has the bell shaped bottom. The ribbon and bow give it even more style and you could have the ribbon match the colors of your bridal party. Next, the gown with the applique is just stunning. No one would be able to take their eyes off of you as you walked down the aisle in this dress. You should feel and look like a million bucks on your wedding day and this dress would definitely make you look amazing. 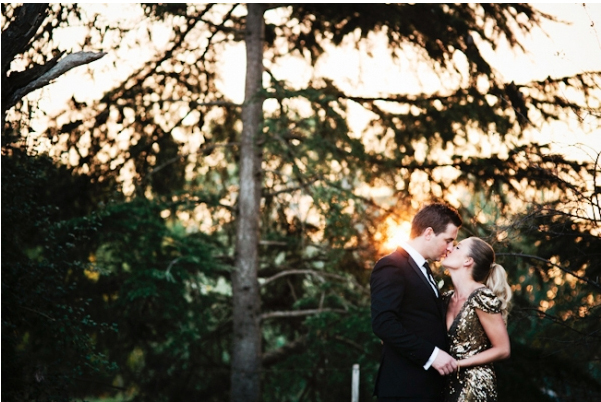 The best part of wearing a gold dress is that it can be used again and again. 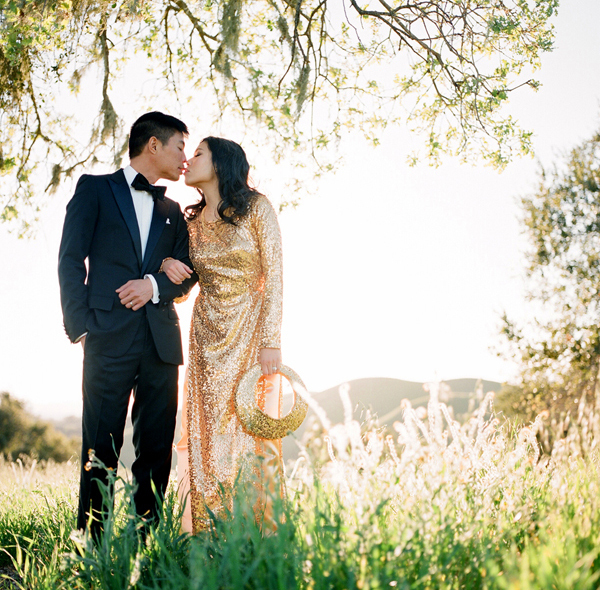 Unlike other gowns that need to be tucked away and stored, a gold gown could easily be used for another occasion. 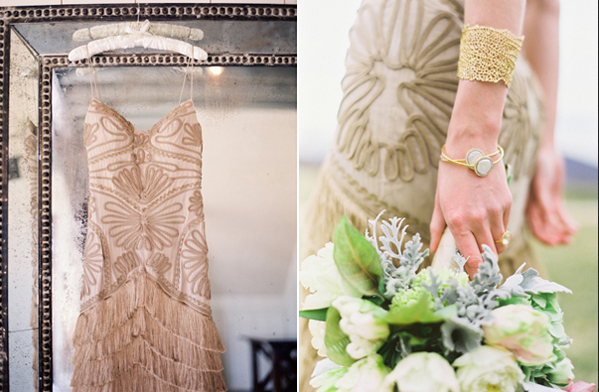 As you can see, gold is in and it's okay to make your wedding day elegant and regal. You should look and feel special on your big day. Consider all of your alternatives when selecting your wedding gown. Definitely make gold an option.